These goals can be achieved by making sure that there is enough potential vegetative growth to ripen the crop, but not so much that it is a jungle. This can result in off-flavors in the must (which the winemaker may not like), and/or an increase in disease incidence (which you, the viticulturist, may not like). In addition, getting light into the canopy will help with forming fruitful buds for the following year in the spring and summer, and help preparing the canes for winter after harvest. Figure 1. Make sure that the bud you are using in your counts are at least one finger width above the cordon. So, how should vines be managed to maintain vine balance? Many growers prune V. labruscana grapes to a desired number of 4-5 bud spurs along the cordon, while in V. vinifera, bud numbers are lower, from 2-3 bud spurs located along the cordon. Only buds that are one finger width above the cordon should be counted in the final bud count for that spur (Figure 1). 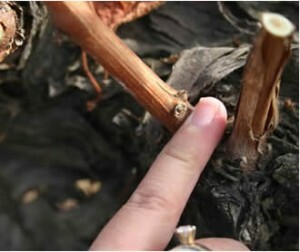 Buds that are below this finger’s width are basal buds and usually remain dormant until sufficient vine stress occurs. In addition, spurs should be spaced evenly along the cordon (Figure 2). Vine capacity can be determined by sectioning buds and is most often used before pruning to give an idea of buds that may be damaged by winter temperatures. Balanced pruning may also be used when considering other pruning techniques. Some vineyards use this as a tool to aid in pruning decisions regarding areas of the vineyard with different varieties and vigor. This technique incorporates prunings from a representative vine and estimates the vine’s capacity based on the weight of these prunings. The bud number to be retained is usually a minimum per vine plus a certain number for each pound. However, this technique has mainly been used in Eastern US vineyards. 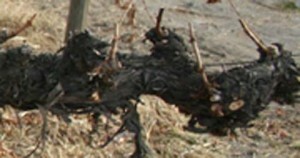 For example, in Concord this may be indicated by 30+10, indicating that 30 buds should be left for the first pound of prunings and then 10 additional buds for each additional pound of prunings. Recent research by Dr. Markus Keller and Dr. Robert Wample have indicated that for Concord vineyards in WA state, this technique is not necessary (Keller et al., 2004). For winegrape varieties, these numbers for balanced pruning is often less and will depend upon the variety (Smart and Robinson, 1991). Figure 2. Even spacing of spurs will ensure that light and air will be able to penetrate the canopy well. One more thing to consider is the crop to pruning weight ratio. 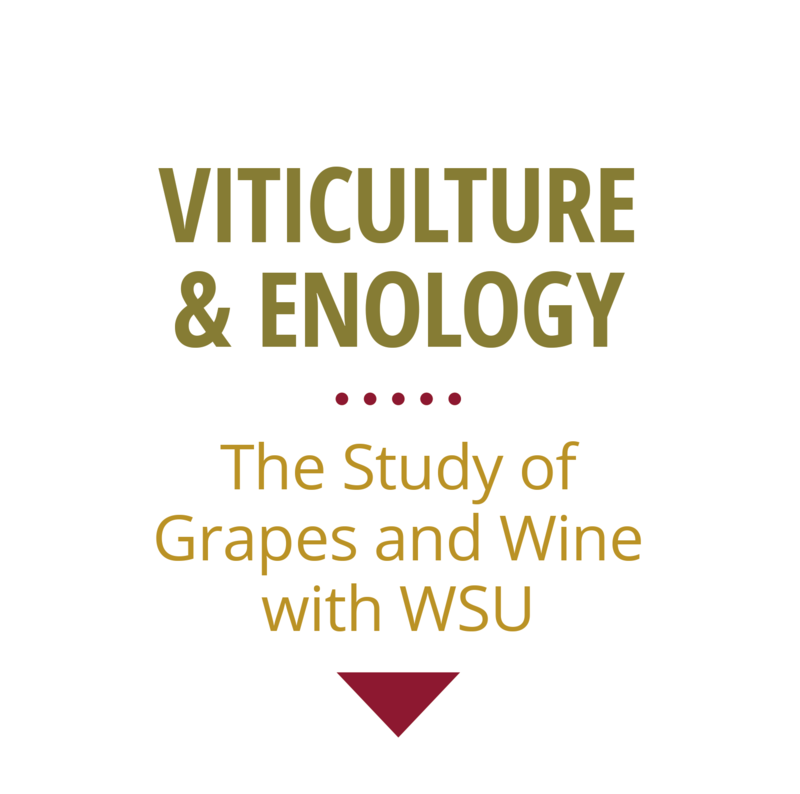 In much of the research literature, these ratios have been given for well-watered vines. It can be calculated from the lbs/vine of fruit and dividing that by the lbs/vine of pruned canes. This will give an idea of the balance of the vine. If this number is too low (<5), then perhaps the crop may need some thinning, or the bud number may need to be reduced per vine. If it is too high (>10), then the vine may be able to support more crop load than what was harvested from it last year, and bud numbers/vine can be increased per vine. A range of 5-10 has been established in Australia (Smart and Robinson, 1991). Pruning gives viticulturists the opportunity to ensure that the vines from which our livelihoods come are in proper balance. Be sure to keep the goals of pruning in mind when you head out into the chilly winter to prune your grapes this late winter. Keller, M., L. Mills, R. Wample, and S. Spayd. 2004. Crop Load Management in Concord Grapes Using Different Pruning Techniques. Am. J. Enol. Vitic. 55:35-50. Smart, R.E. and M. Robinson. 1991. Sunlight into Wine. A Handbook for Winegrape Canopy Management. Winetitiles, Adelaide, Australia. Tassie, E. and B.M. Freeman. 2001. Viticulture Volume 2. Practices. B.G. Coombe and P.R. Dry, eds. Winetitiles, Adelaide, Australia. Pp. 66-84. Winkler, A.J., J.A. Cook, W.M. Kliewer, and L.A. Lider. 1974. General Viticulture. University of California Press, Berkley, CA. Pp. 287-337.